February 28, 2012  On Tuesday, the U.S. Supreme Court hears two cases testing how American law intersects with international law. 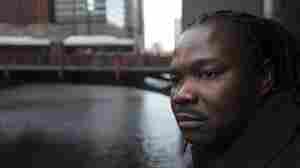 One case involves a lawsuit against Royal Dutch Shell Oil, which is accused of aiding and abetting the Nigerian government in committing atrocities in the 1990s. February 27, 2012  On Monday night, the Iranian film A Separation won the Oscar for Best Foreign Language Film. It marks the Islamic Republic's first Academy Award, and earned a rare stamp of approval from the Iranian government, which called it a success over Israel. The Israeli film Footnote was also nominated in the category. Audie Cornish talks to The Washington Post's Thomas Erdbrink in Tehran about the reaction in Iran. February 25, 2012  Poet Roya Hakakian is both Iranian and Jewish, and in an op-ed in Sunday's New York Times, she argues that the two nations share an intertwined history that should discourage the prospect of war. Host Scott Simon speaks with Hakakian, author of Land of No, about the looming possibility of war between Iran and Israel. 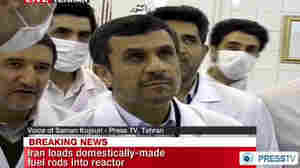 February 24, 2012  The report is likely to further suspicions from Western countries that Iran might be working on a nuclear weapon. February 22, 2012  Robert Dreyfuss of The Nation argues that the hysteria and breast-beating surrounding Iran's nuclear threat is just that: baseless hysteria and breast-beating. February 21, 2012  Palestinians have long complained about the Israeli practice of detention without trial. 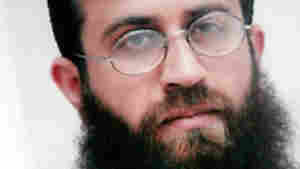 One such prisoner went on a hunger strike for more than two months, and Israel has now agreed to free him. February 21, 2012  Gen. Mohammed Hejazi's comments — that Iran would not wait for its enemies to take action against it — escalated tensions between Iran and the West. February 20, 2012  While Western officials believe Iran is seeking to enrich uranium for a nuclear weapon, Iran's leaders contend it is for peaceful purposes only. NPR's Mike Shuster discusses Iran's regional, diplomatic and nuclear goals. February 18, 2012  The U.S. is determined to prevent Iran from developing nuclear weapons, saying ominously that "all options are on the table." But just what are those options? Are any of them up to the task of stopping Iran from getting the bomb? February 16, 2012  Thai police said the explosives used were similar to the ones used in the attack of an Israeli diplomat in India. The Nation: On The Brink Of War With Iran? February 16, 2012  While conventional wisdom in Washington is that Obama's diplomacy with Iran failed, Trita Parsi of The Nation, argues the reverse. To her, a lack of political will prompted Obama to adopt a misguided policy, and caused Tehran to fear compromise more than escalation. February 16, 2012  Some analysts fear an impending conflict between Israel, the U.S. and Iran. Tod Lindberg of The Weekly Standard argues that the United States is a on a collision course with Iran; failure to act would amount to a failure in U.S. foreign policy. 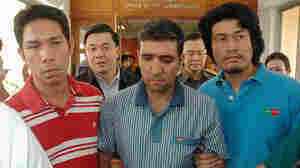 February 16, 2012  Thailand says three Iranians arrested this week were planning to assassinate Israeli diplomats in Bangkok. The bombs went off on Tuesday, wounding one Iranian and four Thai residents. Since then, Israel and Iran have been trading accusations of waging shadow warfare against each other through a series of recent attempted assassinations in several countries. February 15, 2012  Mohammed Fairouz, a 26-year-old American composer, has just debuted his third symphony, Poems and Prayers — featuring text in Arabic, Hebrew and Aramaic.